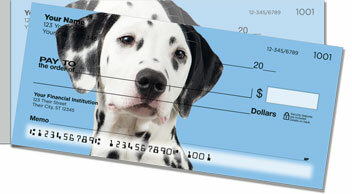 Are you a dalmatian lover? 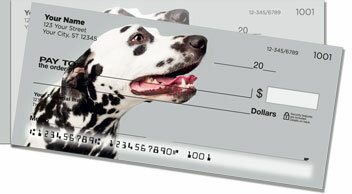 Then show your pooch pride by choosing Darling Dalmatian Side Tear Checks from CheckAdvantage! You've probably got a pretty good idea why our artist chose fire-engine red for the background on this dazzling dog design! 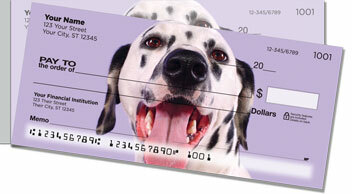 Our Darling Dalmatian Side Tear Checks will let you demonstrate your dogged good sense every time you write one. That's because the short, left-side perforation gives you superior leverage for a trouble-free tear. It means your checks won't rip in the wrong place when you remove them from the pad. 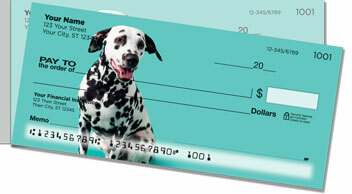 Don't delay -- order your Darling Dalmatian Side Tear Checks and matching address labels today!